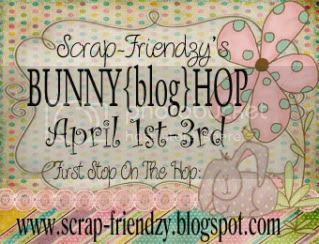 Hoppity Hoppity... the blog hop is on its way! Do you plan on hopping all the days? Just click on the blinkie to take you to the site! There will be chances to win prizes along the way... follow the hop and leave comments on each DT member's blog, and you can have a chance to win a fabulous Scrap-Friendzy prize. Some of us will be giving RAKs away on our blog for just stopping by. Each blog will showcase a project using an "ingredient" for you to work with. Make sure to stop by all eight blogs to get all the ingredients for you to work with in your "recipe." Then use those them to create a project/layout of your own! 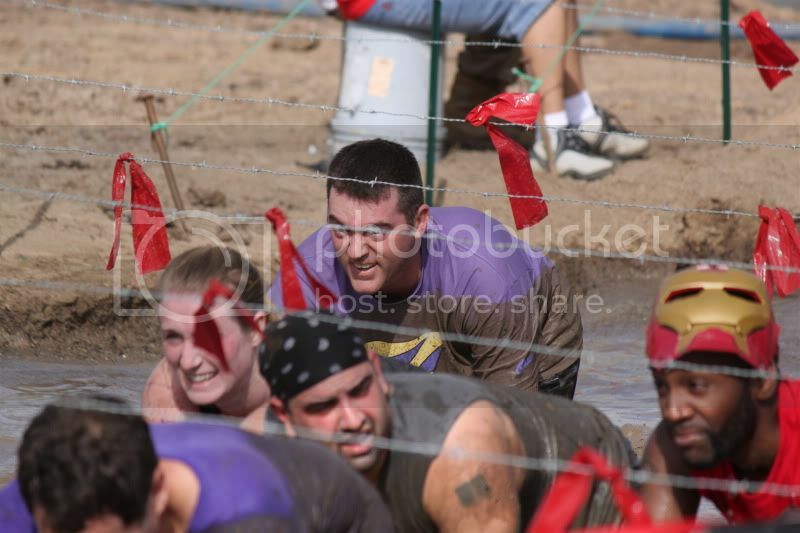 Try and compete in The Warrior Dash! 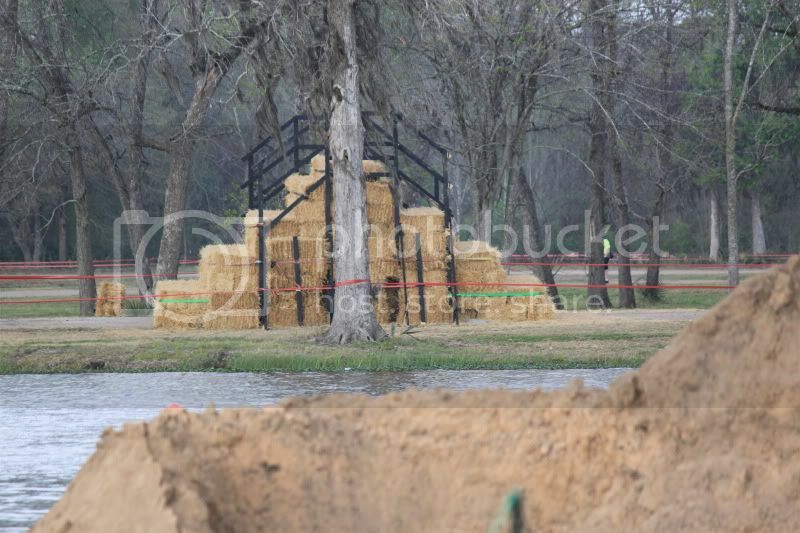 You, too, can have the time of your life running a 5K with thirteen individual obstacles. Can you climb 35 feet in the air on a cargo net? They can! Can you leap beat up old cars? They can! Can you jump flames? They can! Can you survive a "Texas Tornado"? They can! Can your allergies make it over the Hay Fever? Theirs can! 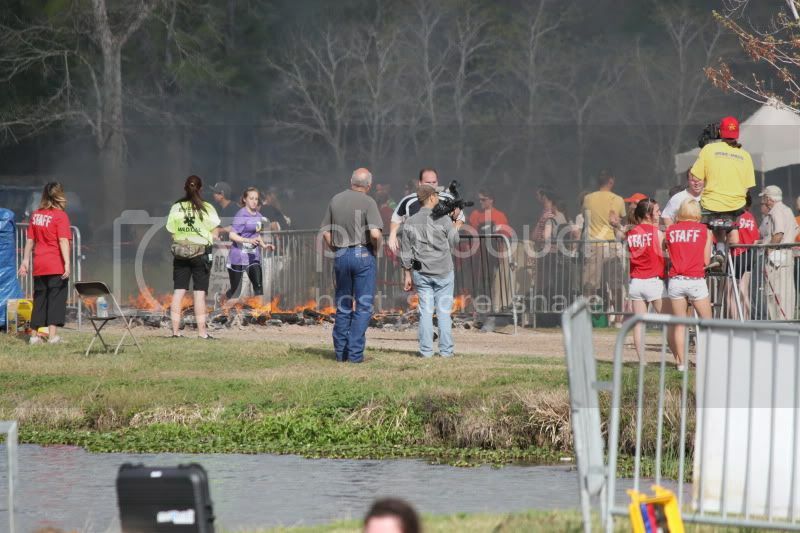 Can you forge your way through the Texas muck? They can! Why? Because they are WARRIORS! E finished the race in 42:40 and Chuck finished in 43:59! 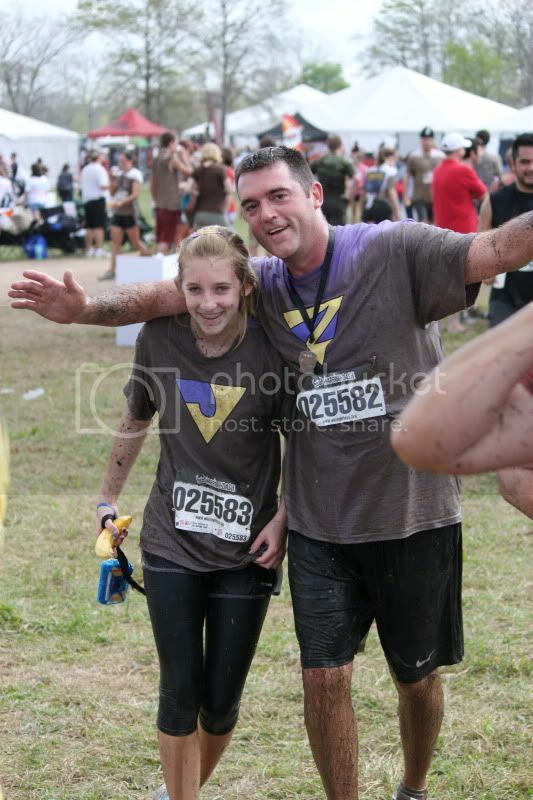 He told her to go on before the last three obstacles, and that she did! I am so proud of them, and so VERY jealous! 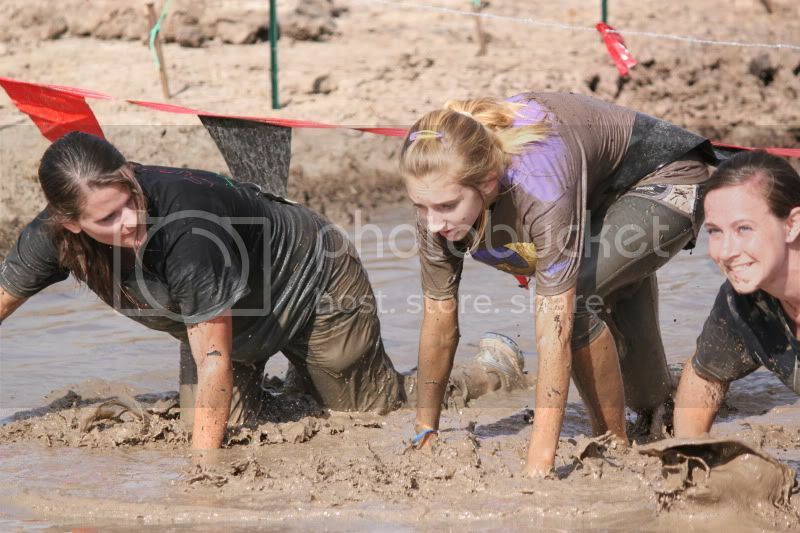 I want to do it next year! There were people there that once I saw THEM finish... I knew I could finish! Then there were people that were all in crazy costumes! 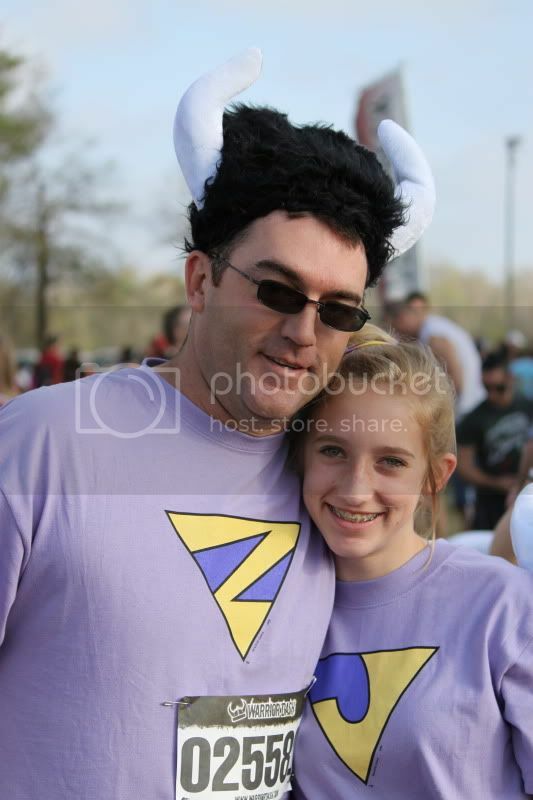 E and Chuck were the Wonder Twins! Rings and all! But some of these people had NO business wearing what they were wearing! Free beer in the end made for a great afternoon! Look for MY photos next year! I plan on doing this! Just wait and see! At Scrap-Friendzy is just beautiful... I haven't had much time to play with it, but I have sketches/photos and the monthly challenges ready for Spring Break next week. Wait till you see their April kit that they are planning! It is even prettier. For the month of March, there are new challenges every Monday, Wednesday, Friday... 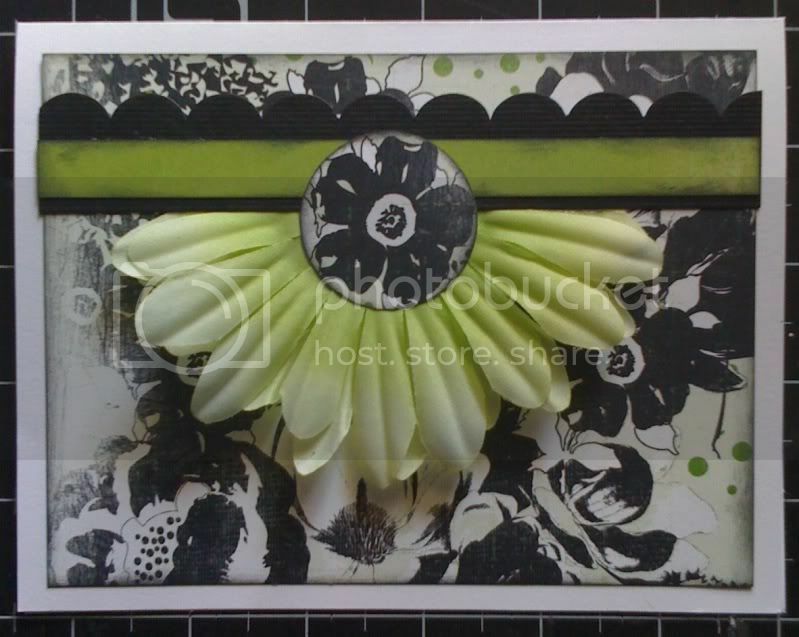 The bonus challenge last week was to use black and white and a touch of color... Here is my answer to that one! Then I posted an ad challenge, and this is the layout I created based on the ad... go check all of the other challenges out if you are in the mood to create! Those GIRLZ have the Mojo flowing in March! Baseball and Track are in full swing... E's 4X400 relay team came in first.. It was just so exciting to watch. She is the youngest on the team and had never ran the relay before! It was amazing to watch! T's team got new uniforms, and they are sharp! I will post photos of both when I get them off of the school's camera! Yep... my camera is in the shop! Thanks for letting me borrow the big bertha of school's computer! I know I have mentioned a great little site called Scrap-Friendzy before... 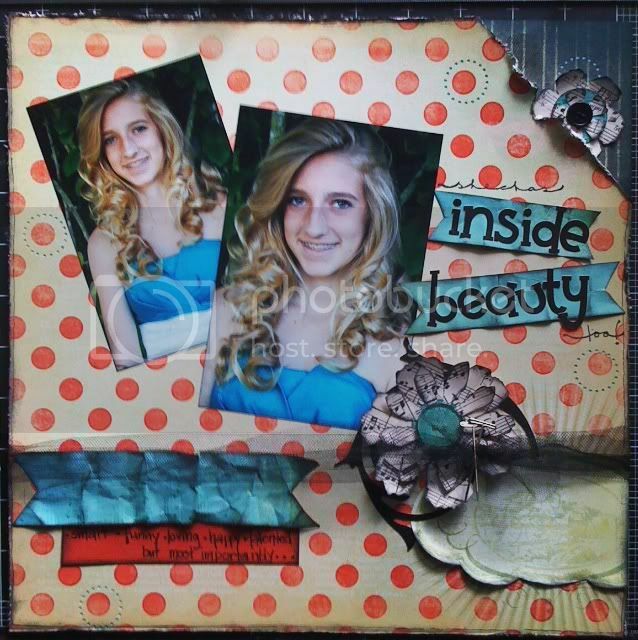 They are a fun challenge scrapbook site with an amazing group of ladies! I am not just saying that to brag 'em up, they really are! Amy and Cheryl work so hard to give it a laid-back, relaxed feeling filled with challenges and support! Now I can say that I am more than a member of the boards! I am on their DT as well! I can't wait to see what the next six months has in store for me! Come check us out, and be prepared to get more scrapping done than you ever have!